had more energy and felt less tired each day. Perfect for me helped me loose weight. These shakes were so easy to incorporate into my routine. They were very convenient for me as a busy working mum. A ll I needed to do was mix with skim milk to get healthy, super satisfying meal ready In a few minutes. I really enjoyed my breakfast shake as it kept me full till Lunch time. The shakes prevented me from snacking unecessarily. It also helped me curb my craving for junk foods as I felt so full and satisfied. The shakes mix easily giving you a creamy, yummy taste. The shakes are really sweet. The Chocolate Shake was my favourite so delicious like a Mcdonalds thick shake. overall in six weeks I lost up to 5 kilos and all I did was replace my two Meals with these shakes. I then ate a small port ion of a healthy meal. Not only did I loose K g's I also lost cm's from my mid tummy area. This resulted in all my clothes getting loose for me. I felt I had more energy and felt less tired each day. My bowel movements also improved. I usually suffer from constipation but these Shakes kept everything normal for me. I also felt less bloated. I really enjoyed this tr ia l and it has been a positive experience for me. I always thought meal replacements shakes are for those that exercise routinely but didn't know how much benefit I would get from them. I did not exercise much but still saw some good results. Hope to stay inspired and loose more weight. Wow, what a journey…..6 weeks down that track and I am so pleased with the results that this trial has given me, again, thanks heaps to Beautyheaven and Rapid Loss for such a fantastic offer….and for me, one for the better. Seven delicious flavours, in big tubs. I so loved the dreamy Chocolate, the delicious Salted Caramel, the lovely Vanilla and the yummy Mint Chocolate. The Banana was nice, as was Latte, but not a massive fan…..I love bananas, but as bananas. I don’t like strawberries, so didn’t enjoy the strawberry rapid loss. Quick and simply, 200 ml milk in the shaker, add 1 scoop of selected Rapid Loss, shake and your right to go. It may not sound like a lot, but it is actually filling, keeps you satisfied until the next meal, or a small snack in between. I have for the last six weeks had Rapid Loss for breakfast and lunch and continued to enjoy them over the time. Each tub is packed full of vitamins and minerals, so you are not really lacking anything. I’m looking slimmer, is amazing with what and where the weight has gone from. I lost 6.5kg for the 6 week trial which I am very happy with. I’d love to loose another 5.4kg, so will continue to stay on the Rapid Loss program for awhile yet. Rapid Loss, doesn’t just provide you with the shakes to have, but they offer an online program, which also includes suggested exercises, with guidance. Healthier meals, right down to ingredients needed and steps to prepare, plus calorie count. Besides loosing weight, I have noticed that my energy levels have increased; I am becoming more active, which is great to see, and another benefit of the program. Starting to rebuild my strength also. I would highly recommend the Rapid Loss program to anyone wanting to loose some weight, Or to even have a tub on hand, for a healthy alternative when just wanting a light and quick meal. What an experience this Rapid Loss Trial has been! I’ve done weight loss shakes in the past and have always been hungry, cranky and horrible. Whenever I do weight loss shakes my husband begs me to eat again because I’m unbearable and when I told him I was on this trial he begged me not to do it. Surprisingly these shakes never had any of these Ill effects on me. I wasn’t hungry except for the first few days as my body adjusted to the reduced calories, I wasn’t irritable or cranky I was just myself. During the trial I have been doing two shakes a day and one meal, I’ve chosen dinner as my meal and stuck to my Sam Wood meals to ensure I was eating healthy food. Once a week I would have a cheat meal and dessert, something I personally need for my mental health or I’ll fall off the wagon and binge eat for a month. The shakes are delicious! Chocolate is by far my favourite but I actually enjoyed all of them. I found the shakes to be filling and long lasting. Occasionally I’d have a snack of Greek yogurt with berries and honey if I was craving sweets, but snacks were not needed for me. 6 weeks of being on the trial I am down almost 8kgs and many cms. There is a visible difference in my appearance and my clothes are significantly looser. I find I’m not having the afternoon slump and have much more energy. Even though the trial is over I’ll be continuing on until I reach my goal weight. I’d highly recommend the Rapid Loss program to anyone wanting a simple delicious weigh losss or management program. great way to kickstart a healthy lifestyle. Thanks again BH for including me in this trial. I really enjoyed the taste of the shakes. I have tried many other meal replacement shakes over the years, and I was expecting that I wouldn't enjoy the flavour much, so I was very happy to be proven wrong. I also love the variety of flavours available, it's really nice to mix it up and not get stuck in a rut with the same flavour. At first I found I was pretty hungry throughout the day, and this subsided after about 2 weeks. I did not notice any significant weightloss unfortunately, even though I added in some exercise and was eating Lite N Easy for dinner. At most I was down 800g, but by the end I was only down 500g across the whole six weeks. I would like to make it clear though, that after 4 weeks I became disheartened, and found it hard to stick to, as I was craving real food, and as I have had some significant things going on in my personal life, I struggled to commit fully to the shake program over the final 2 weeks. I do think that in the new year I will finish off the rest of the shakes and repurchase my favourite flavours to really give it another shot. I'm disappointed that I didn't get the results I had hoped for, but I do think it's a great program to get yourself used to eating smaller meals, and is a great way to kickstart a healthy lifestyle. Three new flavours were introduced in week 4: Banana, Choc Mint, Latte and Salted Caramel. I was horrified to see Banana and Latte in my delivery but I tried the banana this morning and it taste like a Banana Paddle Pop and is really nice. The Latte on the other hand, I struggled with but I was able to keep it down. There is nothing wrong with the flavour I just don’t drink coffee. I enjoyed having different flavour choices it freshens it up. At lunch I was beginning to miss "real" food but the shakes are quick and convenient so I got over that issue pretty quickly. I have still only lost the 2kgs (it varies everyday) which is a disappointing considering I am walking and have drastically cut back on eating junk. I haven't been feeling as hungry which is fantastic. I did have issues with bloating and feeling uncomfortable but it isn’t everyday so I am willing to continue using the shakes. Week 6: While I haven't seen drastic changes in my weight or appearance I have reached a point where I am able to change some bad habits. I feel like I am just getting in the swing of not eating all the time. I have actually gotten to the point that I am feeling fuller for longer after my shake and I have a lot more energy! I will be buying some more tubs so I can carry on with the Rapid Loss program. I am now at the end of this trial and feeling very disappointed that I achieved only a small weight loss of just over 2KG. I am happy that it is a loss but is not noticeable, my face is slightly slimmer and my tummy a little flatter, surprisingly I also feel lighter and notice my Jeans fit better and feel a lot more comfortable. I started off very motivated and positive regarding this trial but became very bored with the shakes and felt it didn’t fit in with my lifestyle and I discovered I’m a person who needs real food to chew and feel satisfied. I also found that some of the shake flavours made me gag, Banana in particular as it smelt and tasted very synthetic. I loved the Latte, Vanilla and Chocolate flavours and the shakes overall were creamy and delicious and very easy to make. I used a plastic shaker with a metal ball that gave a great mixing result and easy to wash up as well. This program has made me think about what I should and shouldn’t eat and I am more health conscious . I am 62 and been through menopause, battling anxiety and depression and caring for an elderly very unwell parent so these stressors do impact on how fast you lose weight and as my GP said I should be kind to myself and proud of what I have done! I have been using the Rapid Loss shakes now for 6 weeks. It has been a fun journey and has produced some very good results. I have now tried 6 flavours and I am very impressed with each of them. I absolutely love the strawberry and banana! The shakes are so easy to use, mix up well in a shaker and are nice and quite thick really. They are very pleasurable to drink, and I took my time with each one, so that it filled me up better and my meal was not over in 10 seconds. I found the shakes to be very healthy and nutritionally good for you. I really liked they contained a very good amount of fibre. This helped make them more filling. I ate healthy meals and had snacks too, so I was definitely eating a good amount of food. I also made sure I upped my exercise intake. I did lots of running, High intensity workouts, and made sure I did some some exercise every single day. I will be keeping up the shakes, as a breakfast they are so quick and easy, even when I am short on time, I always have time for a shake. They tasted great and I tried various dairy milks, soy milks, almond milks and coconut waters with them. They are also good as a snack if you have something else for breakfast or lunch, then the shake is a great snack. I really enjoyed these shakes. After six weeks of being of the rapid Loss program, I have been extremely surprised (in a positive way) by the results. I have always been a little sceptical about diets having never committed to one before however the results are very obvious. 8 kilos lighter in 42 days. Energy levels are as high as I can ever remember them, my body has visibly trimmed down and I have really enjoyed getting back into exercising. The shakes were satisfying and never left me hungry or craving some the creature comforts I previously would devour on an all too regular basis. The program has opened my eyes to improving my lifestyle habits and implementing a more balanced diet and exercise regime. With 7 flavours of shakes available. The shakes never got boring! The ease of preparation made having the shakes extremely convenient. My favourite shakes were the salted caramel, vanilla & strawberry (although I don’t think there was a bad one)! The snacks and meal ideas were tasty, easy and most of the items that they were made up of were things that I already had in the fridge or pantry. I highly recommend the Rapid Loss program and have already got a family member who have also started on the program. give a go and see if its for you. For the past year I have been on a weight loss mission and have been slowly losing weight. In a year I managed to lose 15kg so when the opportunity to join the Rapid Loss Trial came about I was really excited and had great expectations. I had been losing weight slowing under my own steam but with the help of Rapid Loss I figured that this would really speed things up and I was hopeful of dropping 5kg or so over the trial. The idea with Rapid Loss is that you have a shake for breakfast and lunch and then have healthy snacks in between and a healthy dinner. The shakes come in a range of flavours which is wonderful and certainly stops the boredom. The first 3 weeks we had only 3 flavours ...chocolate, vanilla and strawberry. Now normally I cant stand the taste of shakes with vanilla or strawberry flavours but these shakes really do taste wonderful so I was pleasantly surprised. I got through my first week and found that I did ok. 900g loss. I battled with the hunger which seemed to get worse in the second week and I found on some days that by the afternoon I was seriously hungry and feeling sick and on one occasion a little dizzy so I started to increase my snack sizes. This is where the wheels pretty much fell off for me and my weight started to go up and down. I had one week when I actually weighed in more then when I started the trial and this was a huge blow and very depressing. Ive felt disappointed as I did have very high hopes for this program but sadly its just not for me. Im fine with a shake for breakfast and will continue on with this but by lunch time I need something to chew and the hunger is not worth it for the small losses and then the gains. If you want to give this product a try then I would say to give a go and see if its for you. We are all different and what works for one doesnt work for another but its certainly worth a shot. I have now completed six weeks on the Rapid Loss trial and I have lost a fantastic 4 kilos!! I have noticed that my clothes fit me a lot better and my waist is definitely smaller! I am really happy with the result and have to say that I am really surprised looking back how easy it turned out to be in the end. For two days each week I substituted only breakfast, and there were some days where I substituted breakfast and one snack during the day (rather than subbing two full meals). Due to some work changes, I didn't exercise at all in the last three weeks, and am surprised that I still lost weight. I will say straight up that I would recommend Rapid Loss to those looking to lose weight, but with a warning that it isn't an instant fix and it still requires perseverance and to watch what you eat when you aren't consuming the shakes. I have tried a number of other shakes but the Rapid Loss ones are by far the tastiest and have kept me feeling fuller for longer and more energetic. We received 7 flavours as part of the trial. Banana - this was my favourite, exactly like a banana paddle pop which I used to love as a kid. Latte - reminded me of an iced latte when I added crush ice to it. Really nice flavour! Salted Caramel - my second-least favourite as it tasted quite bland and just sugary. It was not terrible, I just didn't think the taste was very interesting but then again, I am not much of a caramel fan. Vanilla - I couldn't wait to finish this one off, way too sickly sweet. Usually vanilla would be one of my staple shake flavours, but there was something not quite right about this one. All of the shakes were really frothy, creamy and thick. I mixed mine with almond milk or water and they still turned out like the consistency of a real milkshake. I was pleasantly surprised by the great flavours on offer, and besides the vanilla one, none left any weird aftertaste. One of the best things beside the taste was that these shakes kept me full until the next meal, and my energy levels were good throughout the trial. Moving on to the cons, it took a while to adjust to the shakes at first. It took me until the 3rd week to stop being bloated (which I suspect is from all the milk powder as I don't drink milk normally), and it also took that long for my body to adjust (toilet-wise). It was actually quite an annoying first couple of weeks, but after that, the shakes just became a part of my day and I have never gotten bloated again. I am so happy that I was chosen for this trial and so happy with the results. I will continue to buy the shakes and substitute breakfast and keep a serve in my bag with me in case. I find these are really great when there are no healthy food or snack options available when you are out and about, especially as they are still delicious with just water, so are very handy to have with you. They also dissolve really easily so you only need a protein shaker (you can get fancy with a blender, but there is no need). I also like there are so many different flavours to choose from, with almost all being really tasty. It helps with motivation knowing you can mix and match flavours throughout the day and helps keep from getting bored. I absolutely love the Rapid Loss Meal Replacement Shakes. I must admit that i was a bit sceptical at first as most "diet" products i do find just don't work. I rotated the flavours - chocolate, vanilla and strawberry so not to get bored. It didn't feel like i was drinking diet shakes even though i was using skim milk. I blended them up in my Nutribullet which made the shakes thick and really creamy. I have already lost 6 kilo's in the first 2 weeks. Mind you i cut out my sweet treats throughout the day and it didn't bother me at all. The shakes made me want to get healthier so i upted my veggie and fruit intake.. Summer fruits are amazing so basically i am a happy camper. Blend in a Nutribullet or similar as i found that it made the shakes thick and creamy. Excellent product. Exceeded My expectations!!!!! I am so glad I could try these meal replacement shakes. I initially thought they would be hard to incorporate into my routine but they have been the complete opposite. It has been a super smooth easy ride the past 2 weeks. I have been replacing my breakfast and lunch with these shakes and then I have some healthy snacks in between and followed with a small healthy homemade dinner. The flavor I enjoyed most was chocolate. So Yummy!!! It tastes like a McDonalds Chocolate thick shake. Followed by strawberry flavor it feels so refreshing to drink at lunch time. Vanilla flavor has been my least favorite flavor. The shakes are sweet so it definitely fulfills my sweet tooth each day so I do not resort to chocolate or sugary sweet foods. These shakes keep me so full. especially in the morning when I take one for breakfast. I have one at 7 am and it keeps me full til about 11:00 am. No more hunger pangs and guess what I dont even feel like eating because of boredom. My stomach is so full that food is the last thing I think about. They are so easy to mix. I do not even use a shaker or blender. I have a cute mason jar type mug with a lid and has a plastic lid. I use that to drink my shakes in. looks so cute everyone at my work comments about my shakes and I have been showing them my tub of rapid loss shake. I just first mix the one scoop of (you get the plastic scoop in the tub) powder with a little bit of skim milk to make it in a paste . When all the powder has dissolved, I then add more milk and mix. So easy and so effective. I found with these shakes I have had to go to the toilet regularly but it is not an alarming or unusual bowel movement. I suffer from constipation so this has been a good help to my digestive system. As a busy mum these shakes has been a God send. I save so much time in the morning as I do not have to prepare my own lunch. I just pack a handful nuts and a piece of fruit for snack time. I have left a tub of shakes at work for lunch time meal. I weighed myself at the end of 2 weeks and I have lost 1.5 kg which I am happy about. I feel so good using these shakes and quite surprised how good they taste, How satisfying they are as well as how easy they are to just make and take. I was recently on the BH trial for this product and I am so glad I was able to try it out. Received chocolate, vanilla and strawberry for flavours. Chocolate was definitely my favourite. My truck was to add fruit to vanilla to make it more appetising. Initially when we were given the meal plans we were told the shakes were replacements for breakfast and lunch, so that’s what I trialled it as. We did receive a second meal plan that had the shakes as snacks and still having meals which, I think would’ve helped my hunger dissipate as I did feel very hungry during the trial having the shakes for 2 meals of my three. Unfortunately, the shakes something about them upset my tummy and acted like a diuretic and I was racing to the washroom at every shake. I tried the shakes with just water or lactose and it still had the same effects, so I did have to stop the trial after a week. I’m sure the shakes work for a lot of people but sadly just not for me. Sadly, I had to come off the trial after a week as my side effects just wouldn’t go away. I’m not sure what it was that made me intolerant perhaps the caffeine with the powder ingredients. Carefully look at the meal plans to see which is for you! Thank you BH for accepting me as part of this trial. I am at the end of the second week, I have lost 1 kg which is a maintainable amount of weight loss. The shakes are recommended to have with one scoop and 200ml of skim milk, I used soy milk for the first few days (as this is what I usually drink) then switched to skim milk to test the shakes with the recommended mix. I found the shakes tasted sweeter with the soy milk than with the skim but both taste good. I used a shaker with a metal ball inside to mix the shakes, it takes roughly 10-15 shakes and the powder dissolves completely. I haven't had any issues with clumping or residual powder. We were given three flavours; chocolate, vanilla and strawberry. My favourite flavour is chocolate, I like having this in the morning. I was worried about the strawberry shake as I usually hate fake strawberry flavours but I really enjoyed it, the flavour wasn't overpowering or overly sweet. The vanilla I still enjoy it, but it isn't my favourite. It reminds me of melted ice cream a little. I found the shakes to be very filling and I usually don't get hungry till about 5pm, receiving the new program I ensured I ate more during the shakes and I found this helped my hunger levels later in the day. I also have my shakes before 2/3pm so I don't impact my sleep schedule to the stimulants in it. Mainly the shakes have helped me eat the right sized meals, I also found that if I treat myself I keep it to a healthy portion and not a whole bag/packet of chocolate. Invest in a shaker or a stick blender to avoid clumpy shakes! I received 3 Rapid Loss Meal Replacement Shakes for a 6-week trial. The flavours are Chocolate, Strawberry and Vanilla. I have a shake for breakfast and a shake for lunch, it has taken a little while to adjust to not eating “real food” for these meals. Chocolate is my favourite. Strawberry is nice but is too sweet for breakfast so I like it for lunch. The vanilla is my least favourite so I added some to both of my chocolate (which I really like) and my strawberry (that I like but is too sweet for breakfast). This way I can use it up without getting the yucky aftertaste that follows. I feel satisfied after breakfast but the lunchtime shake isn't really filling me. My tummy is grumbling after each shake. For the first week I had headaches because I don't drink coffee and I was feeling a bit jumpy. I didn’t have any luck using a shaker so I ended up buying a shake blender so it is now creamy and fluffy with no lumps, winner! After 2 weeks of having two shakes a day I have only lost a 1kg. I feel slightly disappointed but I will hang in and complete the 6 week trial. Pick a flavour that you usually like or you will struggle to drink it. A quick fix to kickstart weight loss. For someone with a decent appetite who has never dieted previously, the thought of switching out meals for shakes seemed like mission impossible. I have however found the shakes have no problem getting me from meal to meal especially when teaming the shakes with the snacks. The program has been very simple to follow. The shakes are quick and easy with no prep or thought required. There is enough variety in the meal plan & alternate foods that I don't feel as though I am eating the same thing over and over again. I have definitely felt more energy which has got me up and about more than I used to. The shakes taste exactly like the milkshakes your would get from the local cafe. My favourites has been the vanilla and the strawberry shakes. The exercise plan I have found a little harder to follow - perhaps some online videos demonstrating some of the exercises would help. Also the fact I'm a little time poor with work & young family I'm often having to squeeze in exercise where I can. I prefer the exercises that didn't require equipment ie dumbbells as I can do the exercises when convenient wherever I am. Variety certainly helps. For the first week I tried to follow the meal plan word for word but I found introducing some of the alternate foods helped a lot. Preparation & planning of meal plan for days/weeks and shopping ahead definitely made the program easier for me. Anyone looking to lose some weight whilst also being able to sustain a happy/healthy lifestyle. This made me so hungry and for the life of me I couldn't get full. You do lose weight but I think it's mainly water weight not actual fat. It's not something I would recommend to anyone trying to lose weight. It tasted pretty weird and chemically too. I think if you're trying to lose weight it would be better to do it through exercise and healthy eating rather than meal replacement shakes. I am so happy to have been selected to join the trial for Rapid Loss Shakes. I have been struggling with some excess weight for a while, which just kept creeping up. I had been working my self up to try and rid the excess weight and than this opportunity came along. To say I am happy to be on this trial is an understatement. New & Improved Rapid Loss in a big plastic tub of 575g, which is enough for 14 serves. 30% less sugar, which is great to know. A great selection of flavours from Chocolate, Strawberry and Vanilla just to name of few. A scoop is in the container, simple and straight forward to make the shake by placing 200 mils of skim milk in a container (I’m using a Shaker), add one scoop of the Rapid Loss and fasten the lid, shake shake shake, then sit back and enjoy. The powder mixes rather well, resulting in a smooth thickish shake. Fancy being on a healthy weight loss plan and still being able to get the fix of chocolate, wow. 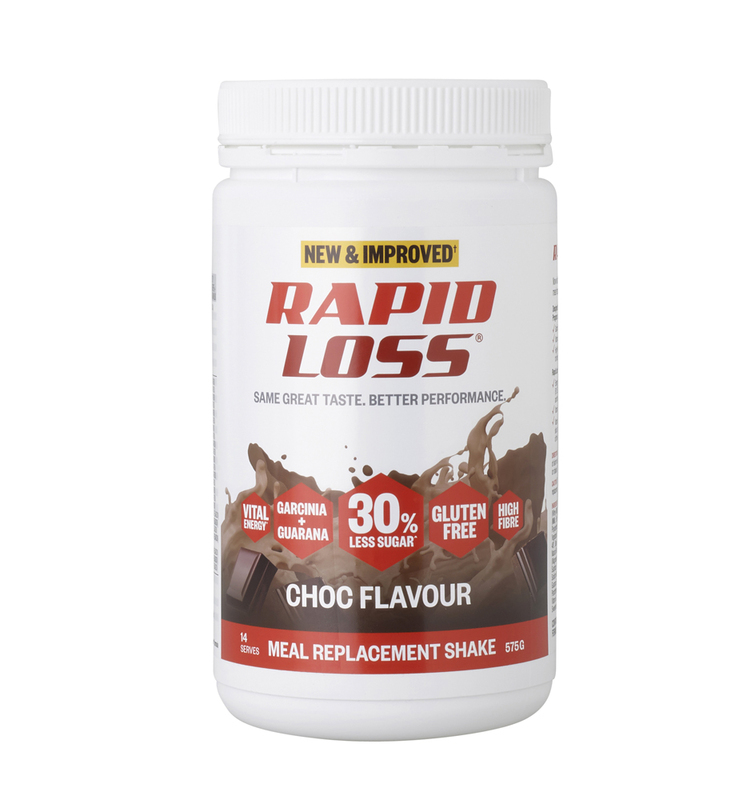 The Choc Rapid Loss is delicious, with a true Chocolate velvety flavour. Though each shake is made with just 200 mils of milk, it is enough to keep you satisfied for a fair amount of time. The Vanilla Rapid Loss is really nice, I am enjoying having it, refreshing and knowing that I am also being rewarded with weight loss. I don’t like the Strawberry Rapid Loss, I just don’t like the smell or the taste of Strawberries. I am replacing my breakfast and lunch with a Rapid Loss Shake each day, and rather enjoying it. Quick and simple to prepare. Rapid Loss has a small % of Caffeine and I have noticed, since starting the program, I have cut my usual coffee intake by half, which is great for me. Each shake contains a rather large % of the daily intake of a multitude of vitamins and minerals, which is great to know that you are still getting all the goodness that you need. With the added benefit of helping to boost your energy levels. Plus the benefit of being packed with protein and fibre.  Rapid Loss provides various online weight loss programs, which include guides, exercises, recipes and support. All to help with the journey of weight loss and maintenance. So far, I have lost a bit over 2 kilos in the first 2 weeks, which I am very happy with. Looking forward to the remainder of the trial and seeing the end results. Drink heaps of water, I'm now drinking 2 litres a day. Anyone wanting to shed some excess weight or to maintain weight. Of all the trials which I have participated in BH this is the one I am most excited about. As we all know summer is just around the corner and who would it want to lose a few kilos and be slim for summer? First of all when I received the products I didn’t even know that I got selected for the trial so it was bit of a shock and exciting at the same time. I got 3 flavours vanilla, strawberry and chocolate. All 3 flavours are very tasty. I wasn’t very keen on the vanilla flavour as I don’t really like it. But I have gotten used to it now. I mixed it with skim milk as per the instructions and it tasted amazing but there wasn’t much. So I was very hungry for the first few days that I thought I would never be able to get past this. But things did get better after few days. Now a days it’s doesn’t feel so bad. I am actually loving it as this means I don’t have to pack heaps of food for my work. I can grab some snack (healthy of course) and my shakes and I am done for the day. It’s very easy. People at work did pass a few comments but it does not really bother me as I am doing this for my health and to feel better about my body. I haven’t noticed any major changes in my body weight. I have lost a kilo but I am pretty sure it’s the Water weight. Also since I have started having the shakes I have also started doing exercises regularly. I am feeling very energetic and feel good about myself. Excited for the upcoming weeks. Drink it slow. Take your time and enjoy it. Prior to starting on Rapid Loss I had been slowly losing weight and had lost 15kg very slowly over the period of about a year. I am short and round so this weight loss has gone unnoticed by others except for my Doctor who can see the loss on the scales and I can notice it in some of the clothes I wear. On day one of my Rapid Loss trial I weighed in and weighed 82.5kg. I would like to get to 70kg and then see how I feel. My first week I was excited to find that I loved all three of the flavours of shakes I had been sent. Chocolate, Vanilla and Strawberry. Normally with shakes I find that the Vanilla and Strawberry flavours taste awful and I just cant stomach them so I was thrilled to discover that with Rapid Loss that is not the case and they taste wonderful. I found out that there are several other flavours available and I would love to try the Choc Mint and Banana flavours. They are very easy to mix but you really need a shaker to get everything mixed to a nice and smooth consistency. I made up most of my shakes with Skim milk but then found that coconut water really added to the shakes and made them thicker plus with the coconut water I wasnt as hungry. I did find that on week one I was starving with the shakes made with skim milk. When I weighed in after a week I had lost 1kg and my weight was 81.5kg. I was happy with that. Week two started with a night out for a birthday event where we had Indian and an apple pie with Ice cream for dessert and I feel that ate up any loss that I might have had in week two as I weighed in at exactly the same as I did at the end of week 1. But hey it wasnt a gain so thats a good thing. Plus I am wondering if the switch to coconut water put a halt on the loss as well. I do feel that im not eating as much with the coconut water but if at the end of this week there is not a loss I might have to switch back to the skim milk. I wish there was more to the shakes. I feel that they dont make much and I really miss having something to chew Making them up with the coconut water does seem to add to the bulk though. My hunger was less in week two but was still there at times. One thing that I am battling with is that I find the shakes make my mouth feel dry for some reason and no matter what I do I cant get rid of that dryness and the odd taste that I have. Drinking water works only while im drinking it and 2mins later that dry feeling comes back along with that odd taste. Ive tried chewing gum but again it only works while im chewing it. At the moment, and only being two weeks in I am undecided if this is something that I would want to continue with. I have to give it more of a test before I fully make up my mind. If someone wants to lose weight then its certainly something to try but how much praise I can give it will remain to be seen. 6 new brands have joined beautyheaven!